Try to keep a daily spending limit in mind. 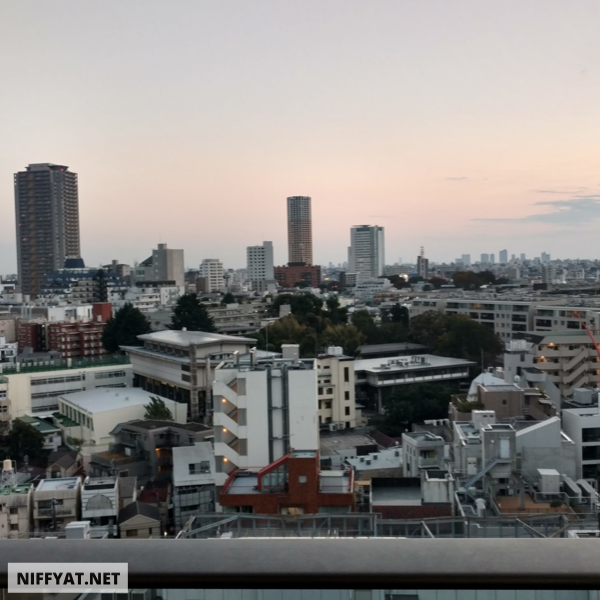 As much as I love the travel style of having no set plan for each and just wandering from place to place, I find that in Japan, that style can cost you a lot more money. In the big cities like Osaka, Tokyo, or Kyoto, there’s such a range of food and shopping options that the price point for everything goes from very inexpensive to top-dollar fairly quickly. Especially if you have a strong interest in Japanese food and/or culture, going there with little to no plans will definitely cause you to spend a lot more money because it's so easy to buy things. Try to plan out what area you will be in each day ahead of time. I am not saying you need a minute-by-minute itinerary for each day, but knowing what general areas (e.g. what neighborhood will you be in, what stations will you be departing at) you want to visit each day and in what order will help you to save money. For example, if you have a plan to see Shibuya and Harajuku, you should combine them into the same day because it’s possible to walk from Shibuya station to Harajuku station. You can save money that way instead of going to Shibuya by train one day and then Harajuku the next day. Japan is a very modern country but's it's very cash based. Department stores and chain restaurants or shops will accept credit cards, but a great deal of stores and restaurants don't accept card and will only take yen. So make sure you get enough yen out at the beginning of your trip. You can also withdraw yen using a foreign debit card at post offices and 7-11 convenience stores (called konbini). A lot of other ATMs do not accept foreign cards, so make sure you locate a post office or 7-11 konbini in your area. There are usually many konbini in the urban areas, and post offices are located all over Japan. In big cities, post offices are also often open 24-hours. Because it’s just so easy to spend money in Japan, I suggest getting the cheapest lodging that you can find since you're really only going to be sleeping and freshening up there anyway. And if you get an Airbnb with a kitchen to make meals from the konbini or stay at a hotel with free breakfast, you can save even more money! For food, you can save money by eating some meals at a konbini. Many of the smaller konbini don't have anywhere you can sit and eat. It’s also pretty rare to see people walking around while eating in Japan. Luckily, there are konbini everywhere and it would be very rare for there to not be a konbini within walking distance of your Airbnb rental or hotel, so just take the food back to eat it. The konbini staff will heat your food If you ask them to as well. Of course, don’t eat all of your meals in a konbini! But at least eating breakfast can save you a ton. There's also really cheap Japanese fast food places like gyudon (beef rice bowl) restaurants. They typically have a menu with a variety styles for one type of dish, but it's fast and delicious! And finally, there’s major fast food chains like McDonald’s in Japan. I wouldn’t suggest eating fast food everyday, but I do suggest checking out American fast food chains in Japan at least once. They always have some Japan only menu items that are really unique, and the Japanese government is very strict about food quality, so fast food is actually much better in Japan than it is in the United States. Also, the food directly inside major train stations is usually more convenient, so it can be a little pricier than food outside or near stations. Make a list list of your must see attractions, and then figure out your must eat foods. Then find places to eat within your budget around your daily plan for each day. Unless you have a specific restaurant in mind that you really want to visit, it’s better to think by food type. That way you can look up some affordable dining options by researching places beforehand. Of course, walking into a random restaurant is fun too, but if you’re trying to save money then a little bit of preparation will help. If you’re trying to save money on souvenirs, look for dollar stores (called hundred yen or hyaku-en stores) like Daiso or 3 Coins. They have many Japanese traditional items that make great souvenirs, as well as fun toys and other random things. There’s also hyaku-en/dollar store konbini as well, so if you find one of those you can also get great deals on food, drinks, and souvenirs there.